I was about to post what an uneventful (pleasant) trip to Macao I had when I had occasion to find out what happens when a passenger loses a ticket. In short, you go to the ticket office, show your passport, and buy your replacement ticket. You can then get a refund in the place where you bought your ticket. I had removed my overcoat with the ticket and remembered it before forking over the 337.50 RMB for another full fare ticket. 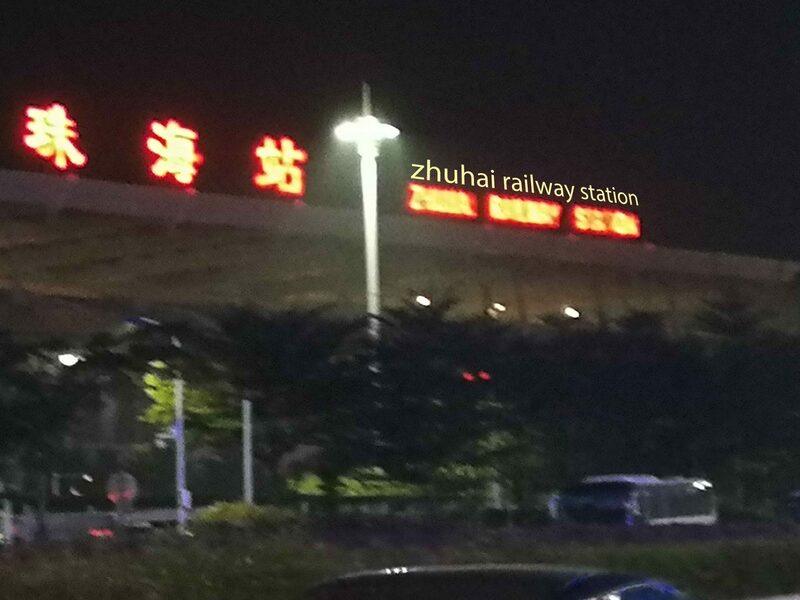 This is the Zhuhai Railway Station. It is right next to the border crossing (Gongbei Port). So the cost of a bullet train (Gaotie) ticket from Guiyang is less than a plane ticket. On a good day, the plane ticket costs about 900 RMB round trip (rt). The Gaotie ticket costs 675 RMB rt every day. Comparing plane vs train is interesting. The plane is about 1.5 to 2 hours flight time compared to about 6 for the train. The train takes about twenty minutes for the security check and boarding time, while the plane takes two hours to be safe. At the destination the plane needs another hour to park and retrieve bags. It’s about five minutes for the train. 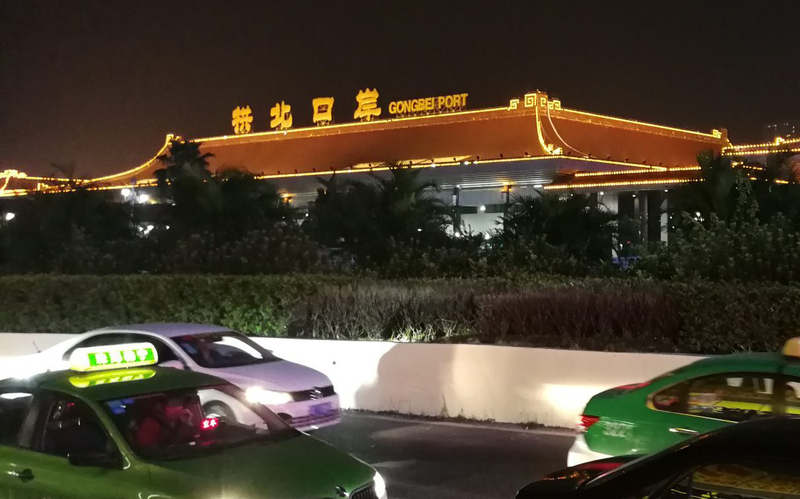 This is the Gongbei Port border crossing. It takes about five minutes to walk from the railway station into the border crossing building. I need to cross the Chinese border every 60 days to stay legal under my tourist visa. So arriving by plane in Zhuhai or Shenzhen still leaves me at least an hour from my border crossing (Hong Kong airport is cost prohibitive). The Zhuhai/Macao border crossing is only a 5 minute walk from the train station. The two parcels are literally adjacent to each other. There is no need for a taxi or bus.